The Fellowship was fortunate enough to obtain a copy of STAR TREK ANNUAL 2013 from IDW Publishing. The story and photomontage is by John Byrne, based off characters created by Samuel R. Peeples. STAR TREK is created by Gene Roddenberry. The Enterprise tracks a transmission source to Delta Vega, a planet where Captain Kirk lost his oldest friend and first officer Gary Mitchell. Once arriving at the planet, Kirk, Spock and McCoy are forced to relive scenes of Mitchell’s past, while the Enterprise is pushed away from the planet’s orbit. If this is indeed the super powered Gary Mitchell, can the crew survive a second encounter? If it’s not, who or what is it? John Bryne did an incredible job creating a new photostory using images from the original television series. This wasn’t a simple, place dialogue and narration on a photo; in some cases he created a new image. The script, which is a follow-up to the second pilot “Where No Man Has Gone Before,” is a worthy inclusion to classic STAR TREK lore. 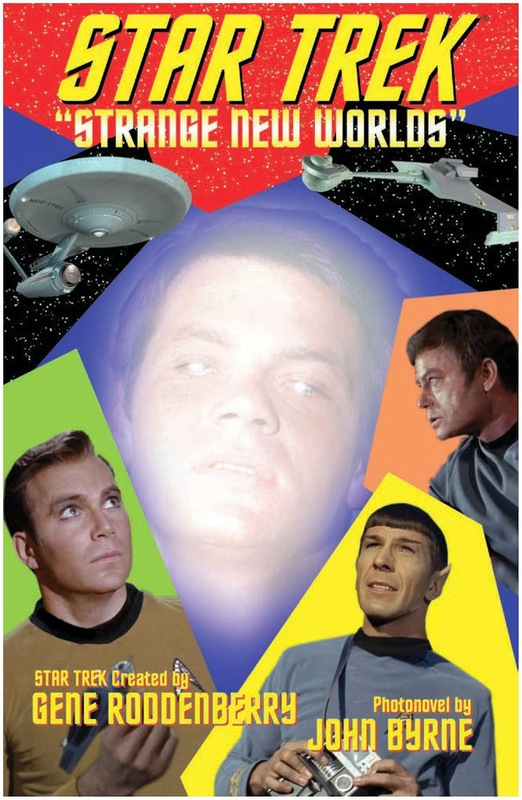 STAR TREK ANNUAL 2013 is in stores now, or available to order at www.Idwpublishing.com.